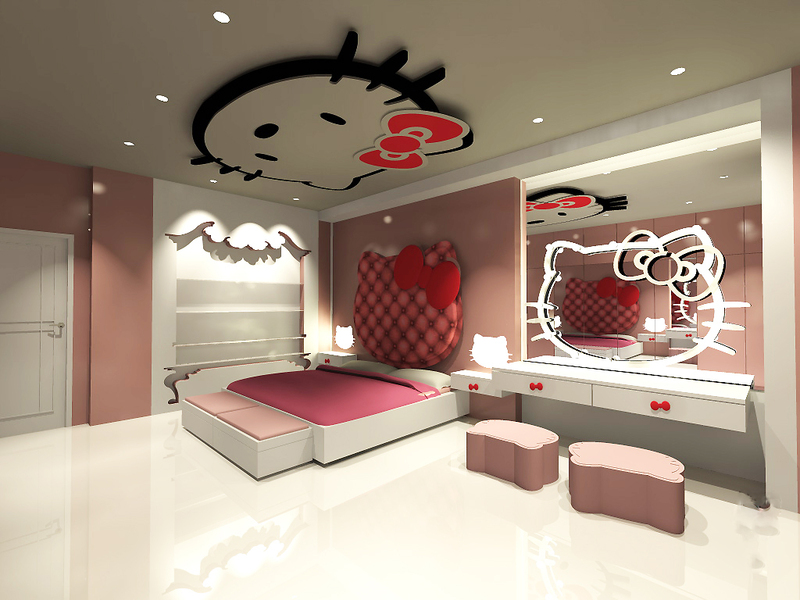 This bedroom takes a childhood favorite, Hello Kitty, and makes her into something sophisticated. 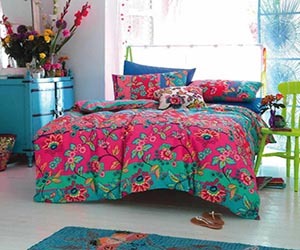 You will love the upholstered Hello Kitty headboard and the Hello Kitty outline on the mirror. I love that the only true Hello Kitty object is so creative, with a three-dimensional Hello Kitty erupting from the ceiling.